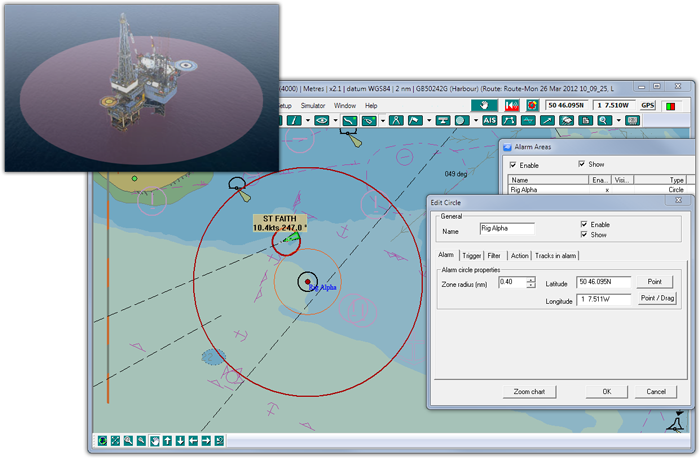 seaPro Platform Protection Sytem (based on seaPro Professional), provides a powerful system to alert and track vessels based on factors such as distance, speed and MMSI number using AIS and ARPA RADAR tracking. 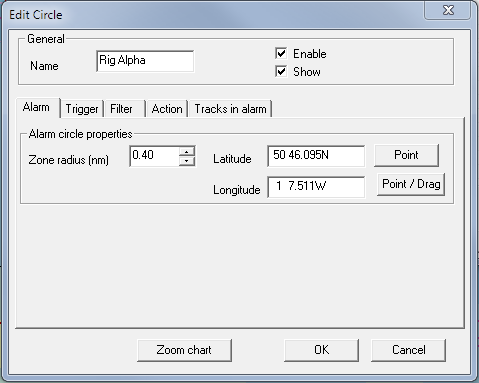 The easy to use alarm set up feature allows alarms zones to be created as circles or polygons. Conditions under which the alarms will sound (including filter lists) are also customizable for targets entering, leaving or crossing an alarm zone. 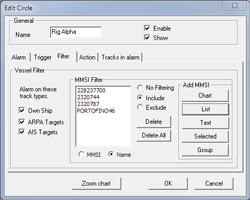 Each alarm zone can have a filter list set up so the alarm is either triggered by those in the filter list or those not in the filter list. 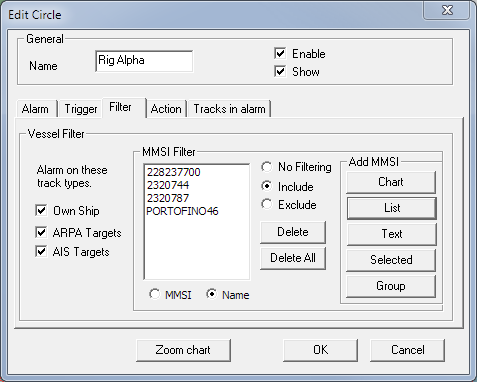 This prevents alarms being falsely triggered by authorised vessels. 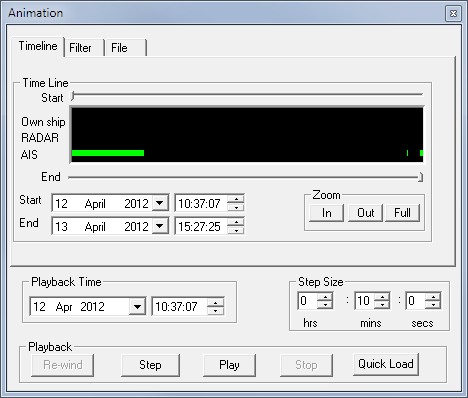 later date. Log files can be replayed with on screen animation at any time to give an accurate representation of events. 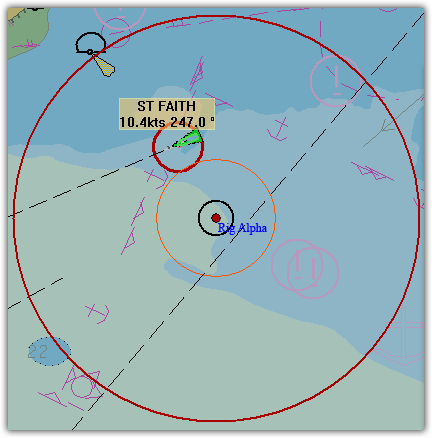 targets and location of the rig to be shown geographically. 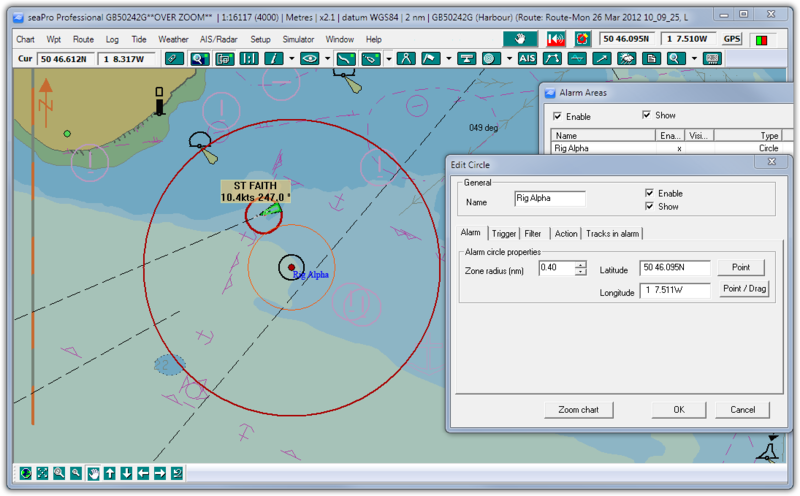 Once set up, seaPro runs unattended allowing the crew to focus on other tasks knowing that the system is watching out for them. 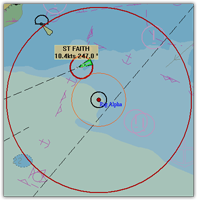 zones on and off if required.